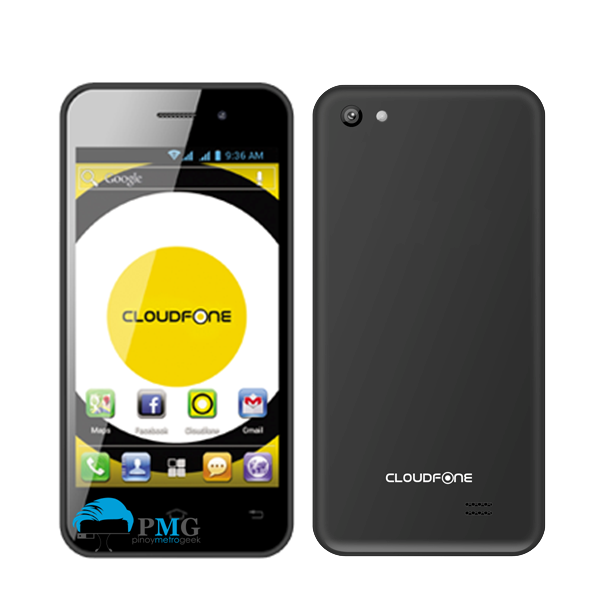 CloudFone outs GEO 402q which is basically the most affordable smartphone with Gorilla Glass 3 screen protection. The handset packs a 4-inch IPS OGS WVGA display with 480 x 800p resolution. Under the hood, you’ll get the 1.3-gigahertz quad-core processor coupled with a gigabyte of RAM, both are tasked to give you a fluid experience. For the point-and-shoot lovers, the 8MP rear camera is also a treat. Flipping the device, you’ll also get the 2-megapixel front snapper which is basically capable for your HD video calling activities and selfie shots. If you need more space for your multimedia files, the expandable memory of up to 32GB will be up for grabs. Powering the whole hardware will be the Android 4.4 KitKat and the 1600 mAh battery. The local company hooked the Cloudfone Geo 420q exclusively to Globe Telecom via Globe Postpaid Plan 299 bundled with texts and calls. There’s no word yet if the device will be available contract-free.